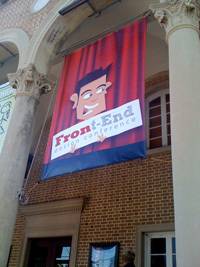 Last Thursday, I made a trek to St. Pete for the Front-End Design Conference. Dan and Cherrie Denney are a class act and do an awesome job of hosting this event each year. It is a small, yet top shelf event with leading voices from the industry. The atmosphere that makes it easy to meet other Web professionals. Each year I leave the conference inspired in my work and with new connections to other designers and developers. The highlight of the weekend was getting to know Jason Weaver. I first met Jason when he commented on one of my blog posts 2 years ago. We follow each other on Twitter and have an occasion conversation. We split the cost of a hotel room and had a blast hanging out and getting to know each beyond throughout the weekend. 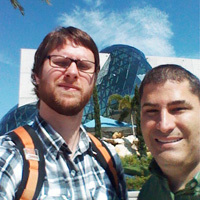 We capped it off by visiting the Dali Museum before parting ways on Saturday. Rooming with Jason made the conference much more enjoyable experience. We were welcomed to The Palladium by a giant banner flying above the steps leading to the auditorium. It was a great venue with a comfortable auditorium and a coffee house type space where we enjoyed a casual breakfast and hang out during the day. I spent most of the breakfast hour catching up with different people that I have met over the past 2 years. We kicked off the day by getting a look into the business of MindComet. 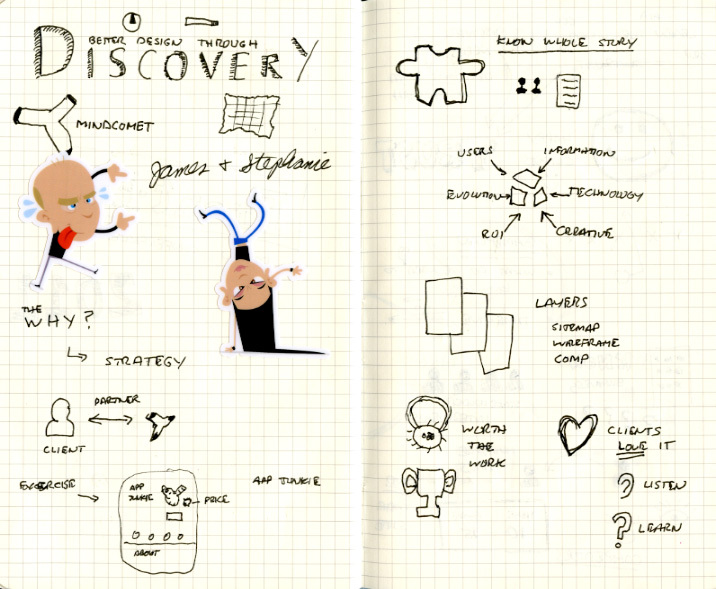 With a lot of energy and enthusiasm, James May and Stephanie Fields shared about the process of discovery. 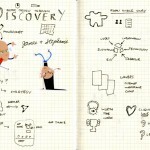 It was a great behind the scenes discussion of the strategic role of discovery. They shared how MindComet takes the time to get to know their client’s business and users so they can make better informed decisions in the design process. This leads to happier clients and more successful projects. 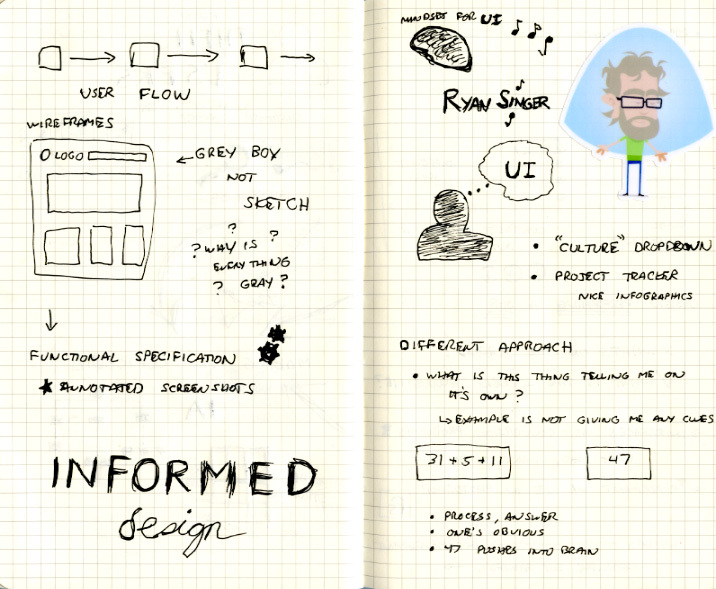 Ryan Singer from 37 Signals challenged us to take a different approach when looking at an interface. Ask, “What’s this screen telling me?”, not “What’s on the screen?”, which is what we normally ask. Ryan had us look at an interface for a tracking project time, something most of us have encountered in one form or another. 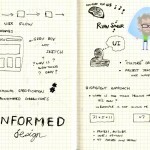 He shared different principles on how to make an interface more obvious. 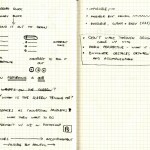 As he went along, he mocked up a new interface giving us concrete examples of the principles he was sharing. 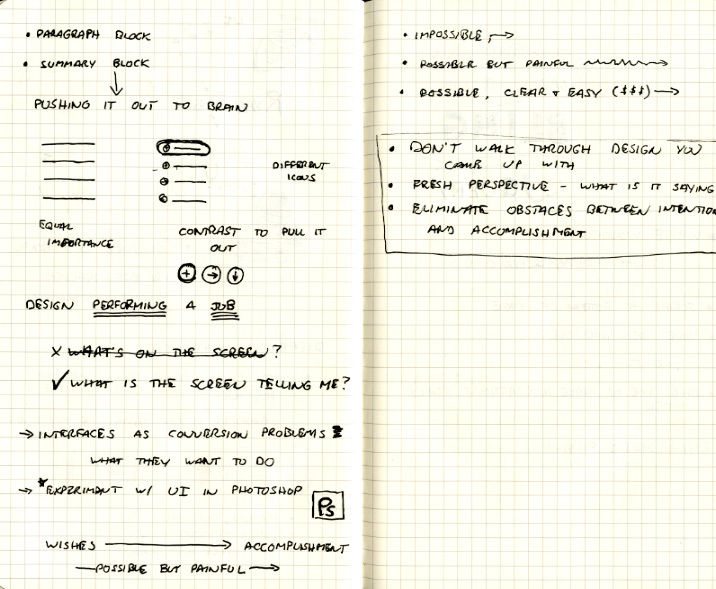 The bottom line: eliminate obstacles between the user’s intention and the user accomplishing their goals. This is the session I was really excited about and it did not disappoint. Ethan Marcotte, author of Responsive Web Design, shared about the responsive approach to modern Web development. 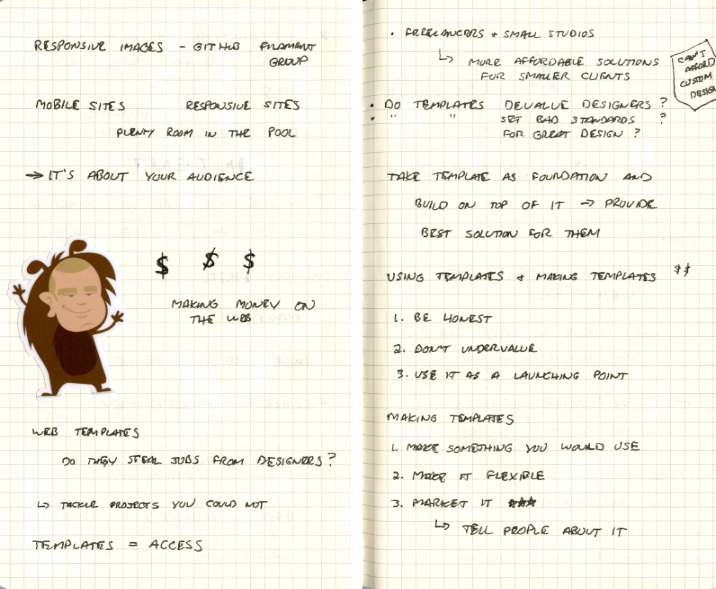 I believe this approach will form the basis of how we make Websites moving forward. Rather than just rehashing what is in his book or the article that started it all, Ethan shared about his experience working with the Boston Globe. Ethan showed how his team has integrated this approach into their process as they reshape the Globe’s online presence using a responsive approach. The talk really fleshed out the ideas from his book and took the conversation further. I also enjoyed getting to talk with Ethan at the after party. I found him to be a very humble person that listened and took an active interest in me as a person. Part of our conversation centered around my work at a large media company. It was fun to compare it to his experiences with the Globe. I really appreciated him taking the time to engage me on such a personal level. I think that is one of the best things about this conference–the personal interaction with the speakers. 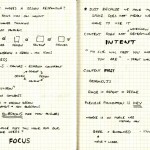 Brandon Jones challenged us to consider the role that templates or custom themes can play in the Web design practice. He believes it can help us to provide affordable solutions for smaller clients who cannot afford custom design. The templates can serve as a foundation that we can build upon to provide a custom solution to our client’s problem. 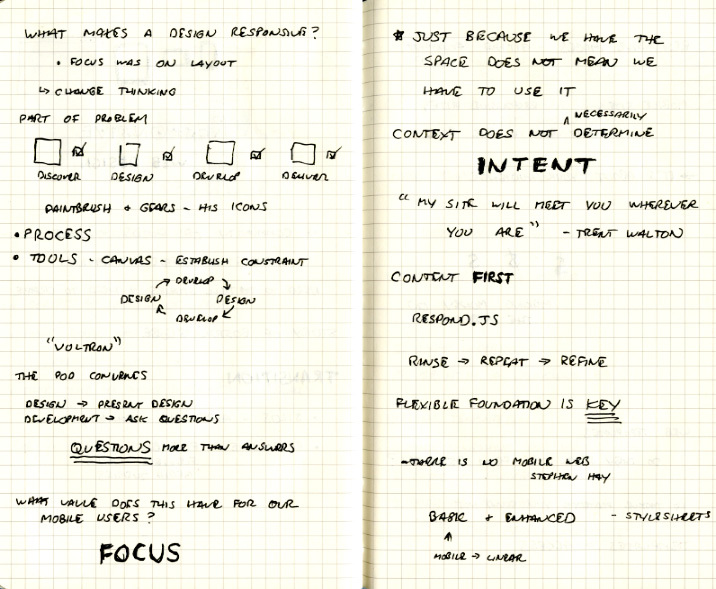 I liked this approach in that he encouraged us to not just use the template out of the box, but to build on top of it. I have considered using a custom WordPress theme for some projects that have a smaller budget. The advantage is that many of these come with functionality built in that is currently beyond my skillset and would take time (money) to build. I believe there is a place for using templates and custom themes to help smaller businesses create a great online experience to engage their audience. I think Chris Coyier is one of the most entertaining speakers that I have seen. I love his excitement and enthusiasm. 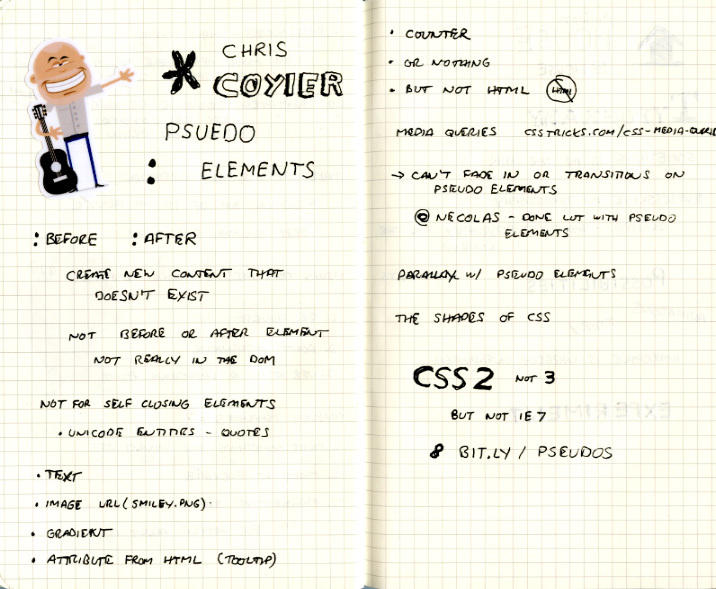 He shared a lot of great solutions using the :before and :after pseudo elements. He showed us how to generate CSS shapes, create a horizontal parallax without multiple divs, and lots of other cool stuff. Go look at the PDF of his presentation. Allison House was our final speaker for the day. 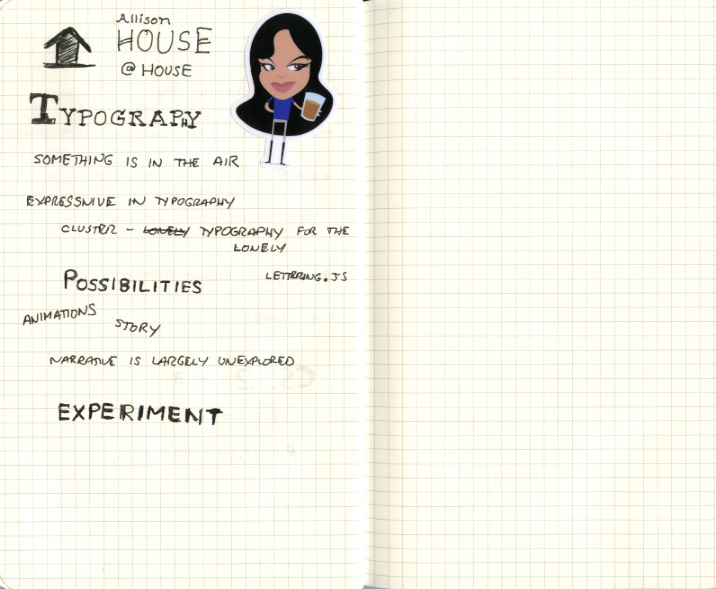 Her talk was less on the practical side and more of a challenge to go out and experiment. This is an exciting time on the Web. We have a lot of great tools. The challenge is to learn how to tell stories (narrative) with these tools. This is largely unexplored place. I enjoyed her examples. It is one of those talks that helps you to start dreaming. I have been thinking about narrative and have explored a couple of ways to bring narrative into experiences I have designed. I really enjoyed talking with Allison at the after party. We continued the conversation and I enjoyed her insights. I really enjoyed getting to know people at the Beer Meetup on Thursday night and the after party on Friday. I met a lot of new people and had great conversations. I met one guy who owns an ice cream franchise and just got into Web design 2 years ago. It is a lot of fun to hear each other’s journeys. I also enjoyed getting to catch up with friends and other people that I have met through previous conferences or through different working relationships over the past two years. 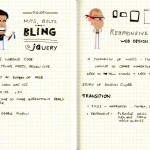 I want to do a responsive Web design. I have read about it, discussed it and thought about it some more. But I just need to get my hands dirty and try it. It is the only way to learn it. I believe this site will be that project. Consider using templates or custom themes as a foundation for freelance projects with small budgets. I think it makes good business sense and could allow me to take on some projects with those who could not afford a custom solution. Experiment with pseudo selectors. I had already implemented a solution last week for styling ordered lists. 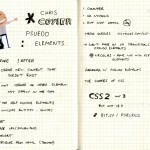 Write a blog post about using CSS selectors. I shared with Chris Coyier an idea to write about my experiences using CSS selectors like adjacent and child combinator. He thought using real world examples make a great read. Experiment. Look for ways to experiment. Don’t be afraid to redesign this site. This site is a platform for me to have fun and try new things. 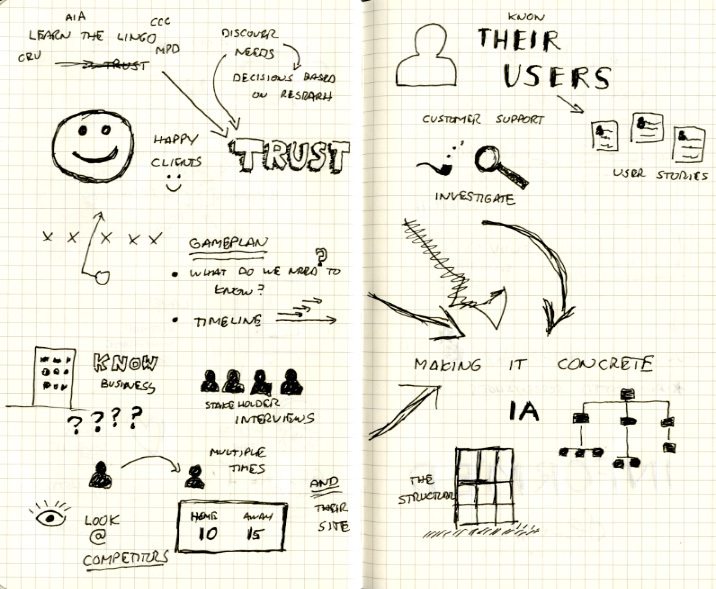 Once again, I decided to try sketch note taking. It is a great exercise to push myself. 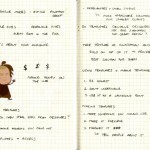 I think I did a great job capturing the content in a form that helped me (as I used it to help me write this post). Click on the thumbnails below to see a larger image. I can’t thank you enough for the time that you put into this. I definitely know how hard it is to set aside the time to write post-conference posts. I truly appreciate getting to see how this event impacts the individual people that attend. Throughout the experience, I only get a bird’s-eye view. So, thank you very much! 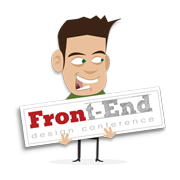 As far as relating to the day as a front-end person myself, we’re excited about the same things. Responsive web design is my new crush and there are principles from all of the other talks that can be used to help deliver responsive sites to a wide audience. One more thing. 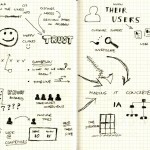 It’s soooo awesome how you combined your sketch notes with the stickers. This is an awesome post. I totally agree with everything you said about the conference. 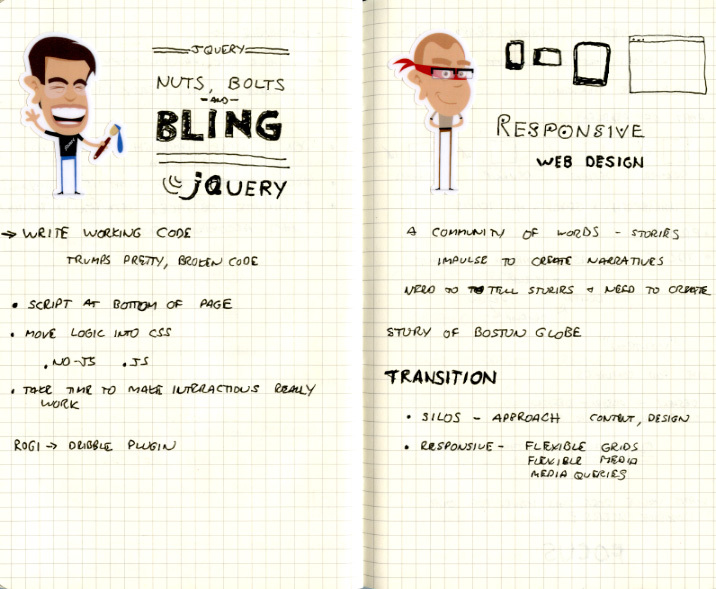 I think my favorite session was Responsive Web Design. I now want to make every site responsive. It was also great meeting you. Great getting to meet you at the conference too! Thanks Scott. Glad you found the notes helpful. I enjoyed meeting you at the conference. Best of luck with your company and other career positions you told me you were considering. Thanks Dan. I was so excited when I saw the stickers. I knew right away I wanted to use them in my sketch notes.